Unroll dough onto work surface. 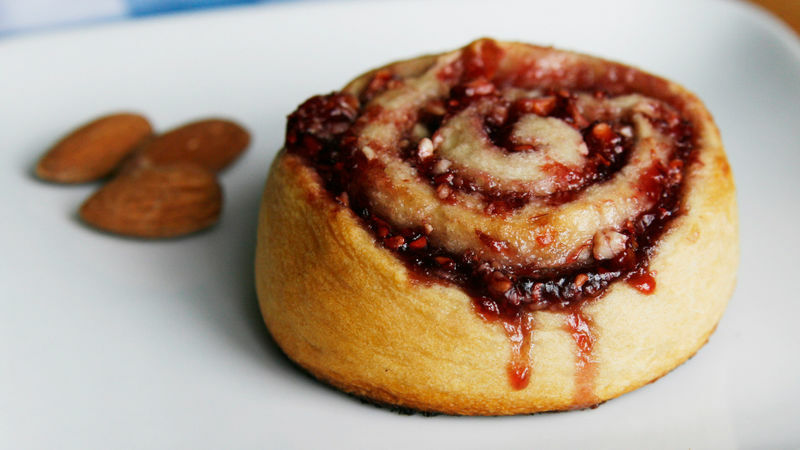 Spread with raspberry preserves. 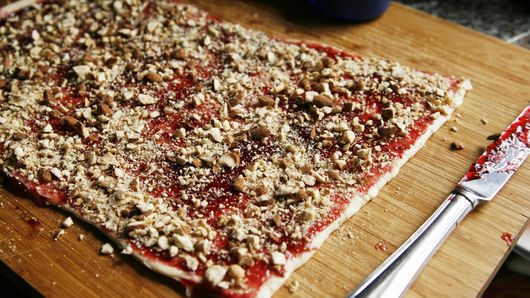 Sprinkle evenly with almonds. Roll dough back up. 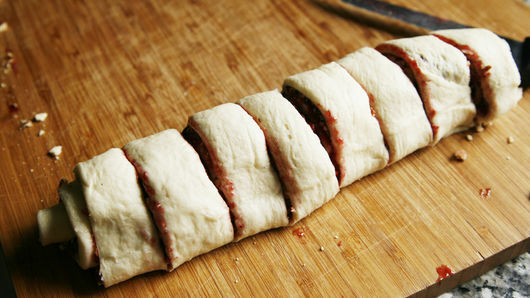 Cut dough roll into 8 equal slices. Place slices cut side down on nonstick cookie sheet. Bake 12 to 16 minutes or until golden and puffed. Cool 10 minutes before enjoying. These rolls are sweet--but not too sweet. Try them as an after-school snack or as part of breakfast. Not a raspberry fan? These can be made with other preserves if desired.